Rhinoplasty is the surgical contouring or sculpting of the nose. It may be performed for the purpose of improving breathing or improving appearance or both. 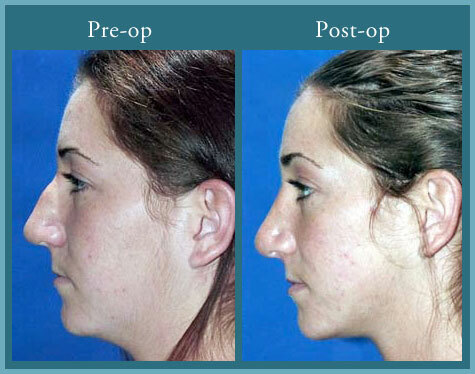 Many candidates for rhinoplasty were born with excess bone and/or cartilage. In these persons, the excess tissues are carefully excised while the remainder is reshaped. The patient may desire a nose which better harmonizes with the rest of their face, or in the case of the drooping nasal tip, a “lifting” of the nose can be performed. In this surgery, more than most, an artistic sense is necessary. The deformity must be corrected while preserving the natural appearance and avoiding the “operated on” look. At the same time, the alterations must put the nose into proper proportion with the rest of the face. There are limitations to this surgery. The size and shape of one’s body and face will dictate the most desirable nose, one which will harmonize and accentuate the face. Skin thickness is also an important note. 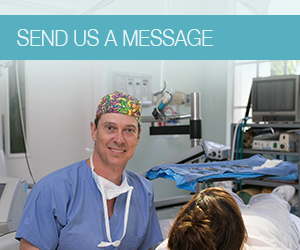 Thick, oily skin does not allow as fine of a tip definition after surgery as thin skin does. The thick, bulbous tip can be improved, however, realistic expectations must be clarified prior to surgery. Rhinoplasty surgery can be performed as early as fifteen in girls or seventeen in boys, the difference being the rate of maturation. If nasal obstruction (the inability to breathe through the nose) is apparent at earlier ages, a limited nasal surgery can be performed without any problems. The procedure can be performed either under twilight anesthesia or fully asleep under general anesthesia. This is quite individual and can be decided at the time of the consultation. At the pre-operative consultation, photographs are taken and the nasal deformities/changes are discussed. A clear communication is necessary at this time to establish goals and limitations of the surgery. Photographs are used as the basis of discussion. Computer imaging has its place, however, clear communication, a good patient-physician relationship, and impeccable surgery technique will lead to better surgical results. Rhinoplasty has advanced in recent years, allowing rhinoplastic surgeons to have superior results with less patient discomfort and inconvenience. The procedure is usually performed in an outpatient setting. We do not ordinarily use packing as was so commonly used in the past. A special technique of suturing the inside of the nose allows us to eliminate this packing which had been remembered as very uncomfortable to those having nasal surgery in years past. Usually, a nasal “cast” or “splint” is placed on the new nose at the time of surgery and remains in place for one week. After its removal, most swelling and bruising will have receded and you will be able to return to work or school assuming you are able to avoid straining and contact sports. Most rhinoplasty surgeries are cosmetic, however, if the procedure is performed mainly for function (inability to breathe properly with documentation of nasal obstruction) a portion of the fee may be covered by medical insurance. A rhinoplasty performed in order to correct a previous nasal fracture might be covered by your insurance. This will depend on the quality of your policy. Lastly, it is important to understand that this procedure is performed for functional and aesthetic improvement. No ethical surgeon can guarantee a perfect result. Occasionally secondary procedures will be necessary. Usually, these procedures are done 6 to 12 months after the primary surgery.